At Info Cubic, we don’t subscribe to “The New Normal”. In fact, we represent a 180-degree departure. When you take the time to evaluate the services that an employment screening company provides and the manner in which they do so, you may become surprised or even frustrated to discover that it can be incredibly difficult to differentiate one provider from the next. The data employment screening companies provide comes from the same sources, the platforms all work in similar fashions and the pricing is competitive…in other words it may seem like we are all playing a giant game of “Me Too!”. With that said, it’s the client service model that truly differentiates one provider from another. TenuredThe average tenure of our client support team is 6 years. This means there is no one better suited to answer your questions! KnowledgeableOur team on the Answer Desk works in a pod structure. A dedicated team with built-in redundancy means you’re always speaking to someone who understands your account. Extensively TrainedExtensive 3 month industry specific training before FCRA Certification process begins. SalariedOur team is salaried as opposed to hourly. We treat customer service as a career, not a job. US-BasedEntirely US-based support staffed in hours to match your business. CertifiedAll Client Service Ninjas have achieved FCRA Basic Certification and our Senseis have achieved FCRA Advanced Certification through NAPBS. We strongly believe that this unique client service approach reflects Info Cubic’s ongoing mission to provide the highest levels of client support available in the employment screening industry. Why Client Service Ninjas? 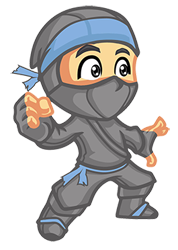 We believe that our team of Account Managers that staff the Answer Desk are Ninjas because they represent the best in the business. Each one of our Ninjas is experienced, knowledgeable and well-trained. Our team excels in client service and is thoroughly educated on the complex network of laws and regulations that impact the art of background screening. 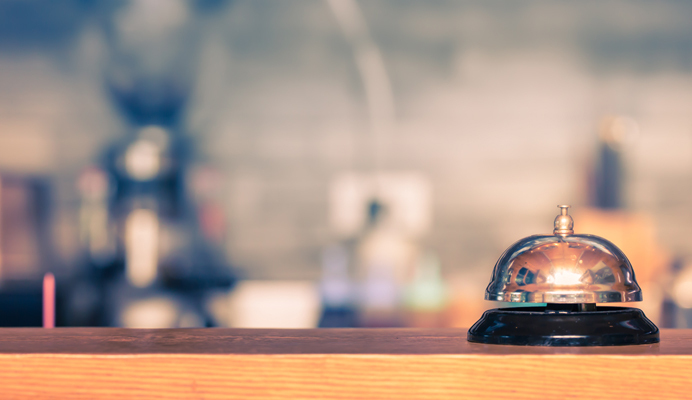 With Info Cubic’s Answer Desk, all companies, regardless of size, will experience the levels of client service that it seems some providers in the industry usually reserve for only their largest clients. While The Answer Desk may often be used as a tactical first line of service we also provide Strategic Account Managers that we warmly refer to as Partner Satisfaction Senseis. Info Cubic’s Senseis first master the practices of our Client Service Ninjas, and then expand on those fundamentals with continued education and training including the Advanced FCRA certification offered through the National Association of Professional Background Screeners. With notable industry experience and a strategic vision, we invite you to think of these Senseis as a true “partner” in the success of your background screening program. Because we have such high expectations of our client service group, we reward and incentivize the team with exciting programs and contests. The next time you speak with one of our team members, ask him or her about the Personal Time Off Bonus or the Boots Bonus with our partner Boot Campaign. Any Client Service Ninja or Partner Satisfaction Sensei would be happy to share why working for Info Cubic is exciting and fulfilling. Ninjas are lame…said no one ever! Contact us today to experience what exceptional client service feels like.